Surgery to correct Surgery for Obstructive Sleep Apnea OSA is typically performed on patients only after other treatments have been unsuccessful, unless the patient has certain physiological problems. Uvulopalatopharyngoplasty (UPPP): Removal of tissue from the top of the throat and back of the mouth to stop throat structures from vibrating, thus reducing snoring. 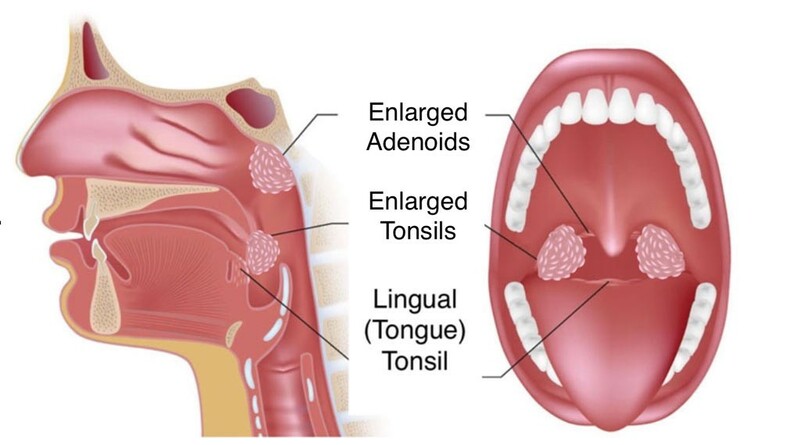 Removal of tonsils and adenoids: If enlarged, tonsils and adenoids can obstruct the airway. Jaw repositioning (maxillomandibular advancement): The jaw is moved forward to enlarge the area behind the soft palate and tongue to lessen obstruction. Implants: Plastic rods are implanted into the soft palate. Tracheostomy: Used to treat life-threatening sleep apnea, a new air passage is created in the neck through which a tube is inserted allowing the patient to breath at night when the normal air passage is blocked. If you have any issues with snoring or possibly obstructive sleep apnea, please schedule an appointment with one of our physicians at Fort Worth ENT & Sinus. Please complete an online appointment request or phone 817-332-8848.